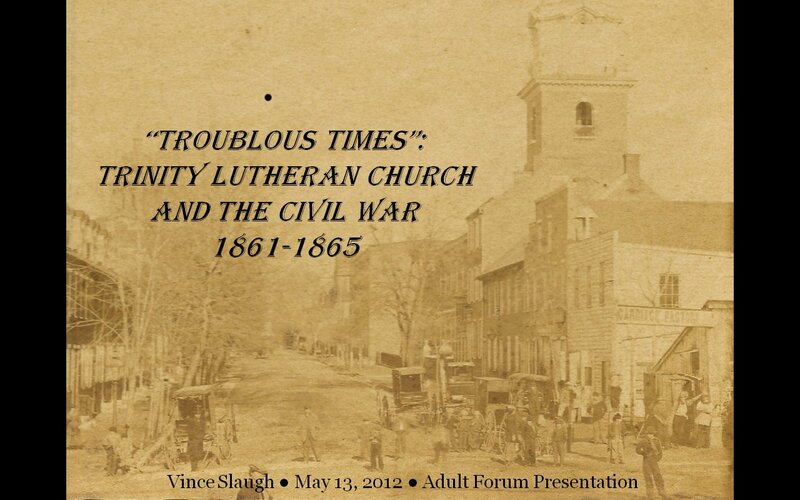 Thank you to everyone who attended my presentation this morning. 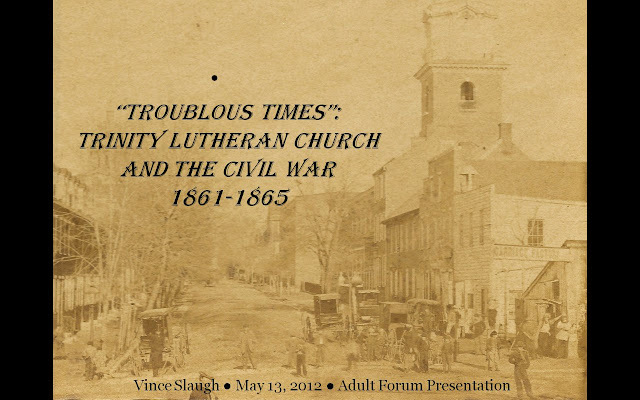 Over the next week, I'll post more content related to the presentation, but for now here's a link to a couple posts in which I've written in more detail about Trinity Lutheran Church and the Civil War. Please let me know if you have any questions by posting in the comments section below or sending me an email at vince@lancasteratwar.com. In case you couldn't tell, I really enjoy talking about these topics and connecting anyone interested to resources that are relevant to them.